Last Saturday, me and my Mom went to Sta. Mesa to pick up my Aunt, I was craving for burgers that day but don't want to eat the usual burger offered by fast food chains that I can always eat when and wherever I am in Manila. Lucky me, we pass by Big B Burgers in Sta. Mesa, Manila. 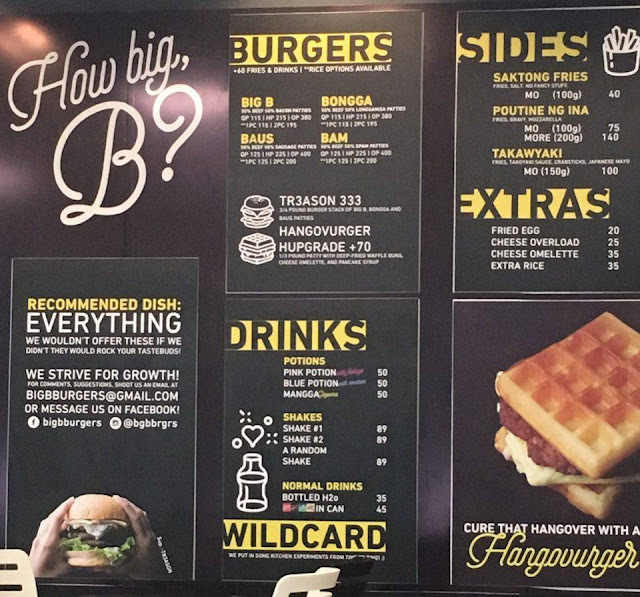 I haven't heard about Big B Burgers before and I thought that it was just a typical burger chain that offers quick bites or snack, until I saw a picture of a patty in between waffles. I haven't tasted such and I don't know as well if the patty and waffle will complement to each other. I went to the counter and check their menu. 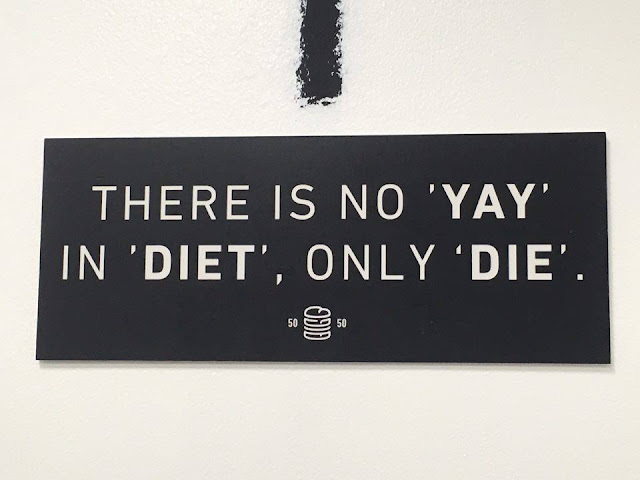 I find the food that they offer something new. 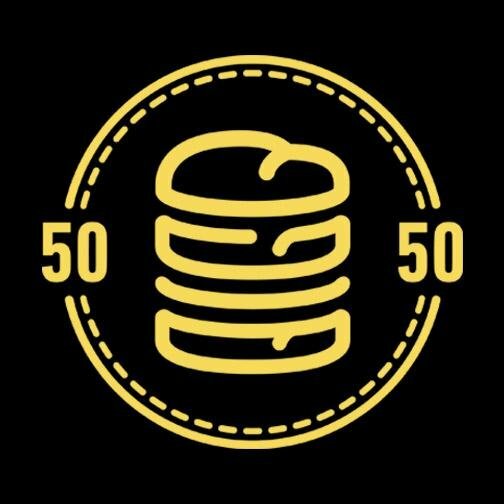 Their burgers have 50:50 ingredients on their patties. Their Big B has 50% beef and 50% bacon, Bonnga has 50% beef and 50% longanisa, Baus has 50% beef and 50% sausage and Bam has 50% beef and 50% spam. If you are tired of the usual burger in a bun you can upgrade your burger to Hangovurger Hupgrade by just adding PhP 70 or USD 1.51. Their choices of fries are new to me as well. 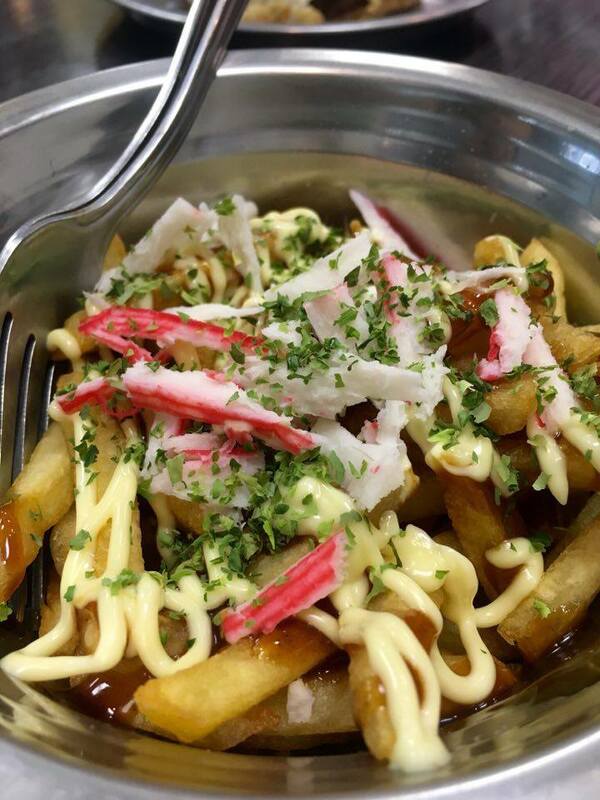 They have the Poutine Ng Ina which is a combination of fries, gravy and mozarella and Takawyaki which is a fusion of fries, takoyaki sauce, crab stick and Japanese mayonnaise. 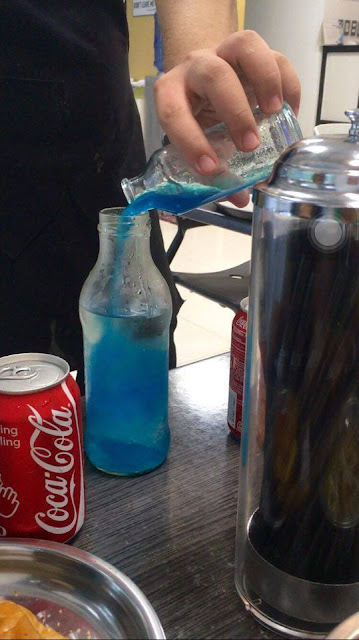 Their drinks have cute names as well, they have Potions (Blue and Pink) with Emotion and Feelings and Manggagayuma. I ordered Big B Hangovurger Hupgrade, Bongga, Takawyaki and Blue Potion with Emotion. This meal cost us PhP 450 or 9.72 USD. While waiting for our orders. I find the place full of "hugot" or pulled out emotion about diet, eating burgers and love. The black and white color of the interior goes hand in hand with the hugot lines that can be seen on every corners of Big B Burgers, I said every corner because even on the condiments you can read hugot lines. Another thing that I like is their logo. If you flip the burger logo side ways you you can see the letters B.I.G.B + the burger itself = Big B Burger. 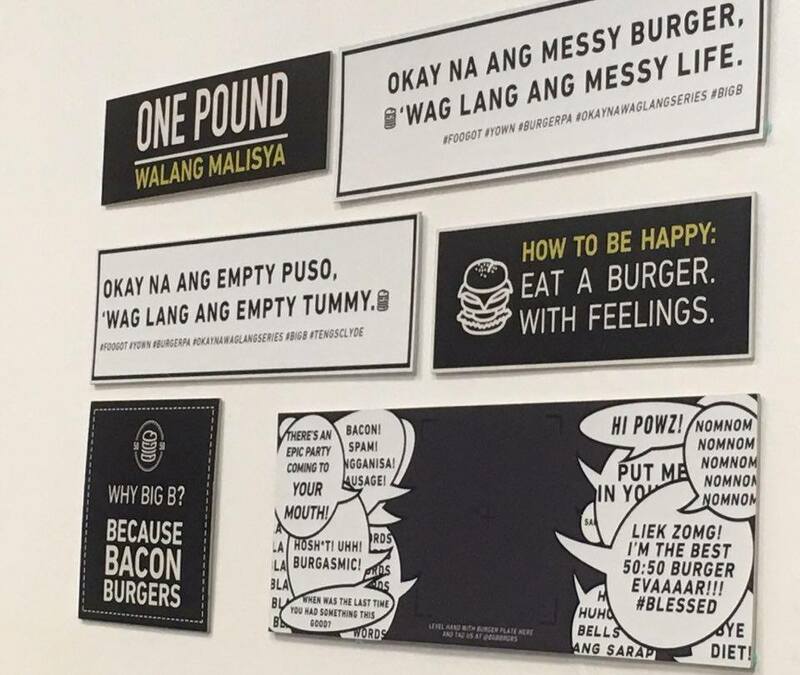 Hugot line about burger, diet and love life. 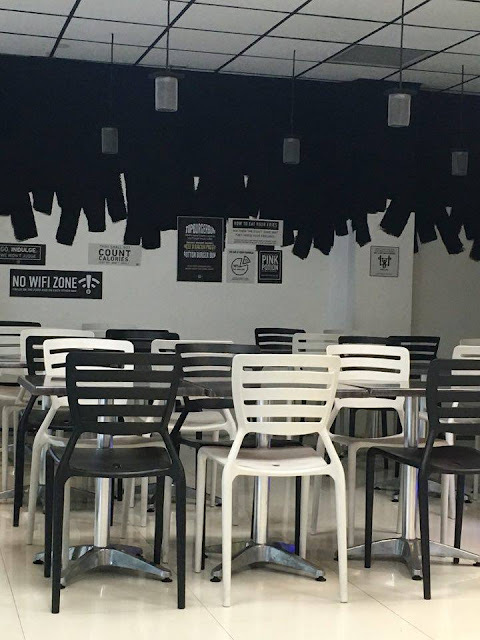 Black and white interior for the total emo feeling. Got our orders after a couple of minutes. 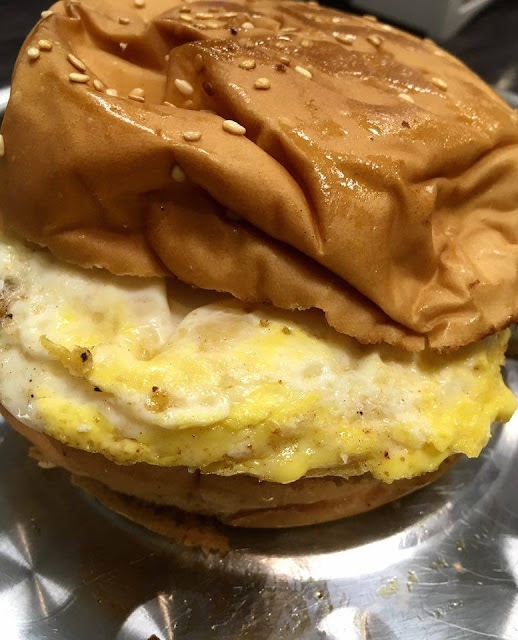 Bongga looks like an ordinary burger with a patty and sunny side up egg in a bun but tastes different compared with the traditional burger. The party is juicy with a bit of sweetness and garlic taste of the longanisa and an after taste of herbs. The former over powered the beef but compliments well with the egg. Downside of Bongga are the buns, it is a bit saggy. The Big B HANGOVURGER HUPGRADE is a bomb! 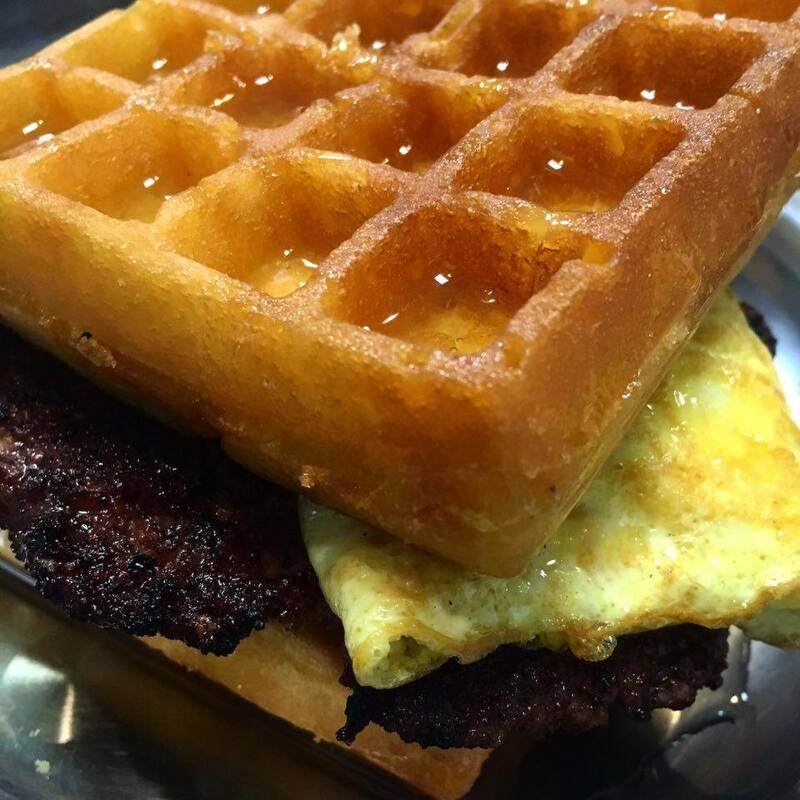 I love the juicy and the saltiness of the bacon and beef patty, the cheesiness of cheese omelet , the floppy on the inside but crispy on the outside waffles and the sweetness of maple syrup that was drizzled on the waffle burger.At first, I thought that this would taste crazy but lo and behold! It is so yummy! It might be weird but I am thinking of morning stuffs while eating it. If you want a heavy breakfast and don't want to eat rice, this is perfect for you. 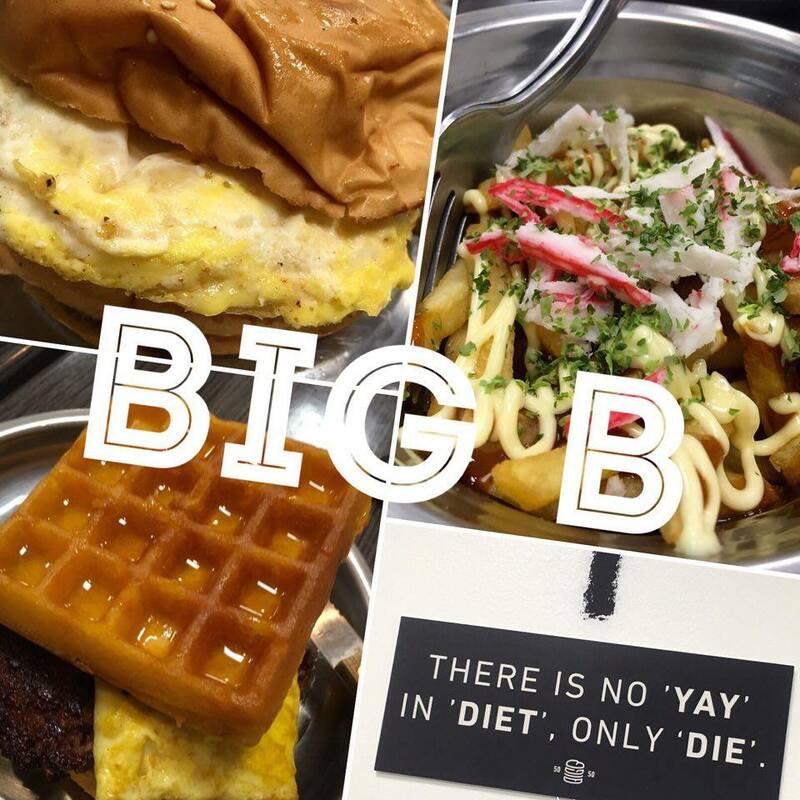 My favorite (so far) dish of Big B is their Takawyaki. I love the fusion of takoyaki and fries. The fries is crunchy, perfectly fried. The sweetness of takoyaki sauce, crab flavor of crab sticks and the cheesy and creaminess of Japanese mayonnaise and the crisp of the fries made this dish a bomb! Eating this feels like eating a potato takoyaki. Attendants of Big B provides customers a little skit when they serve their potions. What they do is they mix in front of their customers their special potion and water while stating some "hugot" or pulled out emotion lines and it is funny! The potion tastes lemonade. I enjoyed eating in Big B Burgers. I love how they created the idea of mixing takoyaki and fries, the 50-50 patties and the waffle bun. I enjoyed the skit that the servers did with the potion I ordered. When I pass by Sta. Mesa and crave for Burgers, this place would be my first in mind. I love how minimal the place is. The food looks so delish. :) Would definitely pay a visit. Huhu! This made me crave on this wee hour! Haha! Would definitely drop by when I'm around the area! Wow! 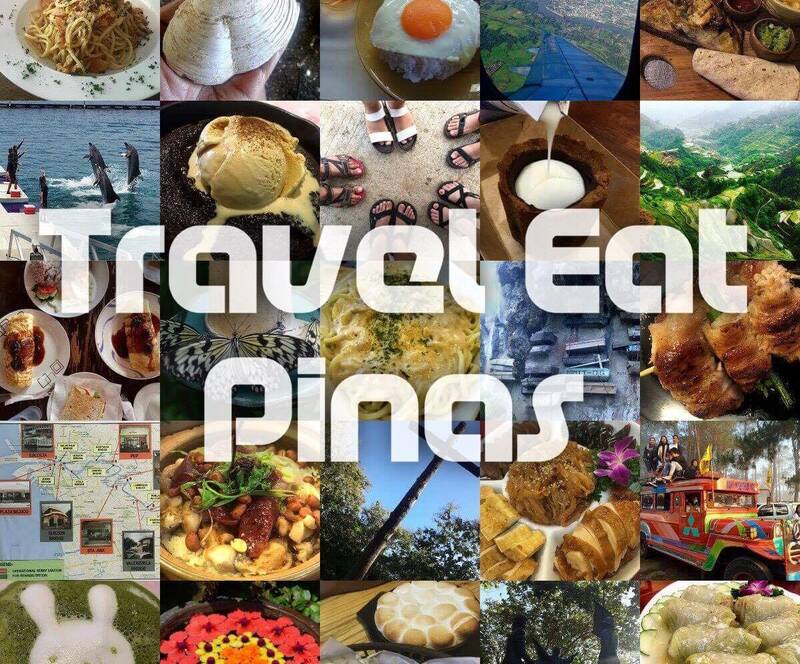 I'm a fan of burgers and pasta so expect me to add this on my food trip destinations haha. Blue Potion was amazing! !